Why Choose KIWI-TEK For Your Medical Coding Needs? Cheaper is not always better. As companies that have outsourced their medical coding offshore have come to realize, there is a significant amount of risk and inaccuracy involved when medical coders are sourced from outside the United States. They have now come to understand that it is better for their bottom line to use domestic medical coders from medical coding companies in the USA.  One of the best solutions to become available to physicians, medical groups and medical facilities is medical coding in the USA — provided by KIWI-TEK. The accuracy of KIWI-TEK domestic coders. KIWI-TEK is proud of its reputation of delivering 95-plus percent coding accuracy for clients. The certifications and ongoing training required of KIWI-TEK medical coders. Medical coders have certification from AHIMA or AAPC and a minimum of three years of experience with coding for a hospital facility. Domestic coders are held to international standards and apply best practices. 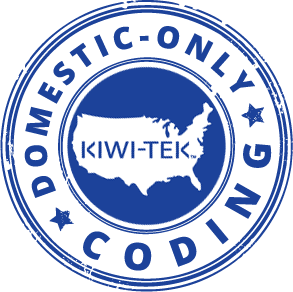 KIWI-TEK coders are experienced with the challenges posed by ICD-9, ICD-10, CPT and HCPCS. The speed of KIWI-TEK medical coders. Domestic coders are available around the clock to accurately complete the medical coding needs of practices. The implementation of ICD-10 and the need to remain HIPAA compliant means that medical coding must be accurate and done quickly. Address coding backlogs with coders who understand medical coding nuances. Reduce the potential for denied claims with qualified medical coders in the USA. Using qualified and well-trained domestic coders from one of the leading medical coding companies in the USA who are available 24/7 can make for significant improvements in the management of medical coding completion, patient billing and compliance requirements. Understand that as demand for offshore coders accelerated, inexperienced, newly trained offshore coders flooded the offshore coding ranks. Thus, coding quality, accuracy and reliability have become questionable. In many cases, the cost of domestic “repairs” of offshore coding errors and rejections by insurance carriers offset the lower cost. The offshore coder inventory has grown well beyond the domestic demand for their services. As a result, offshore companies are now buying American coding companies and staffing them with offshore coders. Learn from the mistakes others have made and choose a trusted and reliable domestic medical coder provider. KIWI-TEK HAS CHOSEN NOT TO PURSUE OFFSHORE CODING RELATIONSHIPS, EVEN WITH THEIR PROMISE OF LOWER COSTS. Our reputation for excellent accuracy, fast turnaround and more deserved reimbursement for our clients requires that we provide only our domestic coding network. Its inherent cost-effectiveness — plus our fine-tuned cost structure and various modular coding packages — offers you high-quality coding at extremely competitive rates. Contact us today for a customized medical coding plan solution. We Can Tailor Your Ideal Partnership Coding Program To Most Cost-Effectively Meet Any Present And Future Needs.